We all already know the game Angry Birds, the birds will crash the angriest launched himself to destroy the pigs who stole their eggs directly or damaging a protected structure. But, do you know about interesting facts about the Angry Birds. At least nine facts about the game this animation you need to know. 1. Since 2003, Rovio Mobile has developed more than 50 games, with little success, before Rovio achieved tremendous success with Angry Birds. 2. Rovio game Angry Birds is the 52nd, which was launched in December 2009. 3. Every day people around the world spend 200 million hours playing Angry Birds. 4. Swine flu epidemic in 2009 inspired the Rovio make green pigs as enemies of angry birds in Angry Birds. 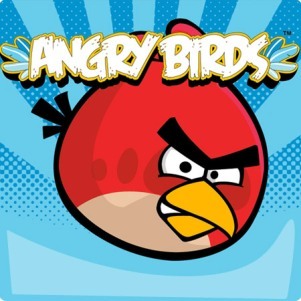 Angry Birds proved to have been downloaded more than 500 million times. 5. At first, Angry Birds made ​​by four pogrammer which took eight months to complete because it is a low priority for the Rovio. 6. Currently, Rovio employs more than 50 programmers, and they make the (level) to a new Angry Birds all day, and until now there are more than 200 degree (level). 7. The initial cost of making Angry Birds only need less than 100,000 euros, or about USD 1.2 billion. 8. Angry Birds has sold more than 12 + million copies in the App Store and the 5 + million copies on PC platforms. 9. Peter Vesterbacka, creator of Angry Birds, is now appointed to be the Mighty Eagle. An interesting fact is not!